There are stories that need to be told, relayed and communicated, somehow, through some medium, through some vessel, in a bottle, a book, a poem, a song. 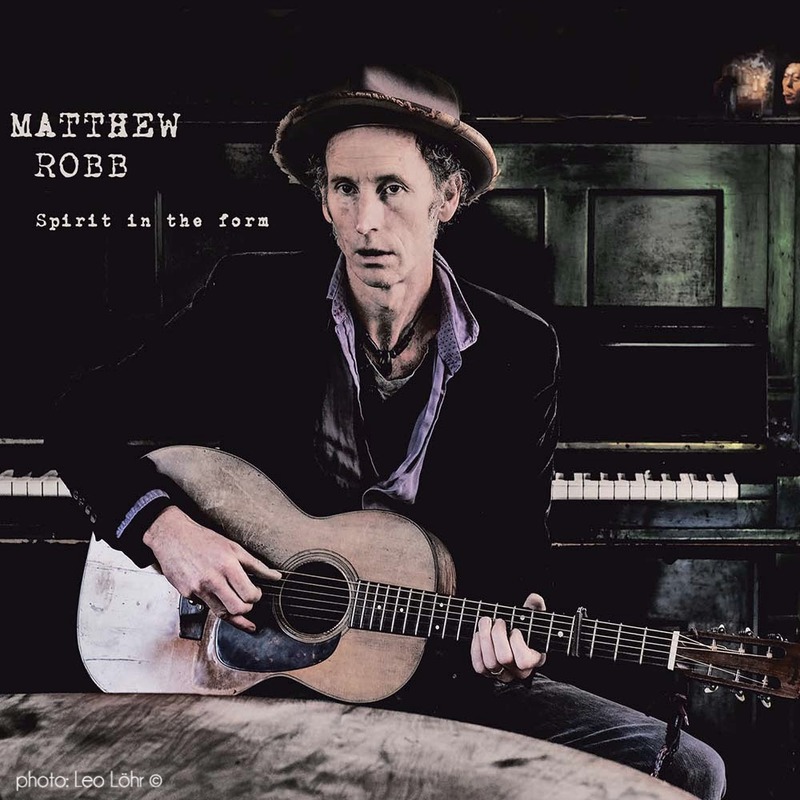 SPIRIT IN THE FORM by UK singer and songwriter, Matthew Robb, is a collection of ten tales that needed telling. They are told here, played and sung within the sparse soundscape created at WabiSabi studios, in Cologne. The fledgling label has released 2 albums in 2017 alone and this latest offering somehow copper fastens the passion and commitment of the label to stay true to the nature and soul of acoustic music. Dark and dry, deep, dense…. the message is clear in each story. A LONESOME BURDEN there may be in life, but this piece reminds us that burdens are lifted, sometimes by bird song, a gentle breeze or in this case, a dancer, ever present, just a little bit behind, on wood and 6 cold strings… again you know, you believe. SPIRIT IN THE FORM is available, now at all good record stores, the WabiSabi Website and on iTunes. Albums can take time to ripen. For around thirty years the Cologne based singer-songwriter has been making music. arrangements grab your attention with their sheer simplicity. His voice, guitar and harp awaken the great traditional folk music of the American west. Without exception though, it’s the profound scope and depth of his lyrics that really make the compositions so contemporary and outstanding, Like a thread running through the album, the songpoet speaks to the disillusionment of people living amongst the greed, procrastination and general malaise of a materialistic society, with themes as varied as modern day slavery and the death of a close friend from alchoholism. However, despite this meloncholic backdrop, Robb’s songs radiate a great hope that within mankind there lies a strength to lay that burden down.